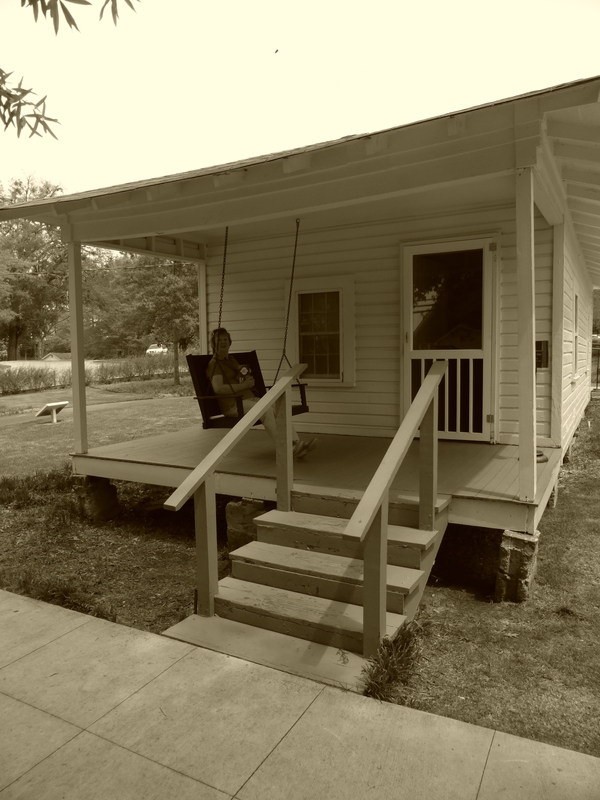 Looking to experience the real Deep South and authentic America? Look no further than a visit to rural Louisiana, this is as real as it gets! This is a corner of one of the wealthiest countries in the world that the travel agencies and politicians do not advertise however, I assure you a journey into the quieter areas of this beautiful state will be an experience you will not forget, full of unique experiences, colourful characters and tasty treats! 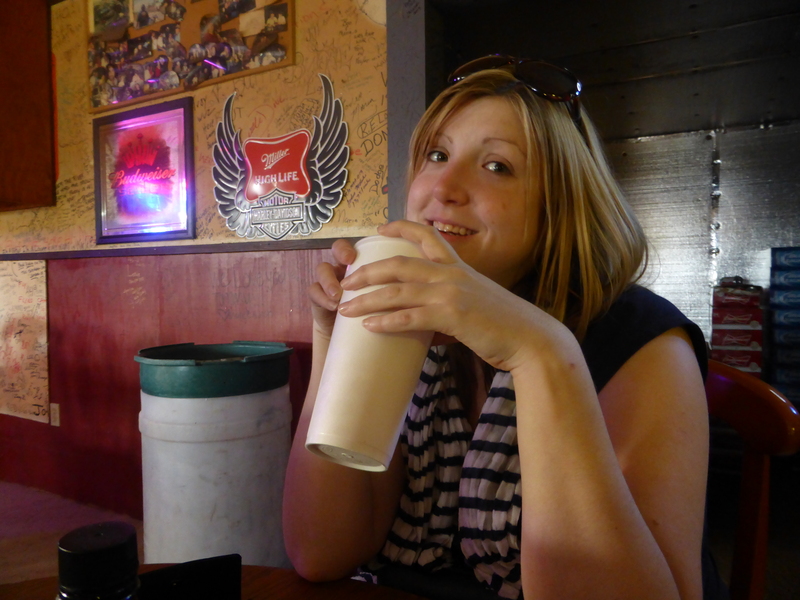 One evening whilst we were staying in Vicksburg, Mississippi, we found ourselves with a few hours to kill so my Dad suggested a quick hop over the state border into Louisiana to go for a drink, and so, we found ourselves at ‘The World’ in Delta. The first time my parents and I lived in Mississippi, some twenty plus years ago, the legal age to drink in the state was 21. However, in nearby Louisiana, the drinking age was only 18. I remember stories of kids at my local high school making the trip over to The World, or nearby Daiquiri World in Tallulah, to enjoy a few alcoholic beverages, only to be arrested and handcuffed upon journeying back into the Vicksburg. I have visited The World previously however, for a first timer like Neil, it really is a wonder to behold. 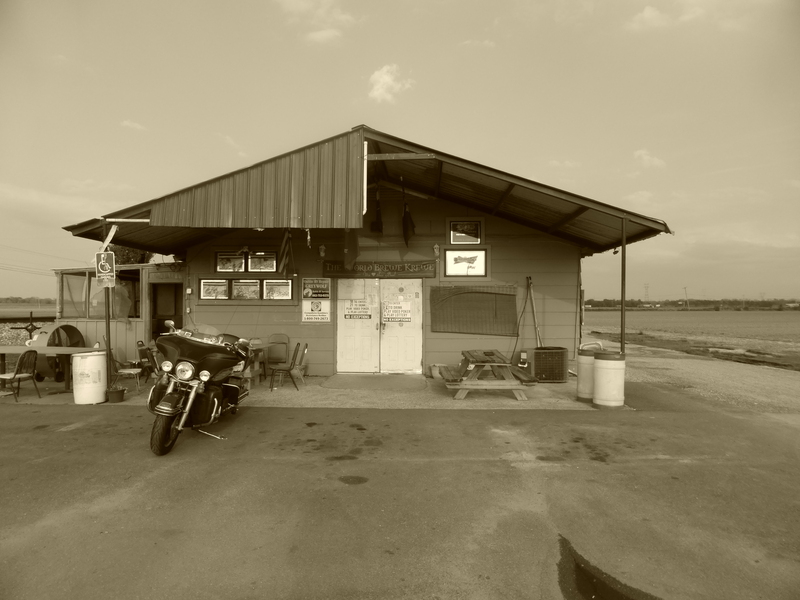 The bar is, quite literally, in the middle of nowhere; a few seconds drive off the interstate, the run down wooden structure with a ramshackle tin roof is situated next to a railway line and little else. Upon opening the door, a small crack of light is thrown across the dark room, only lit up by a few gambling machines and a juke box, and the locals sitting at the long bar all turn to stare at the newcomers, particularly if you have a British accent!! The décor of the bar is decidedly ‘country’, various pieces of football memorabilia adorn the cork walls along with thousands of signatures of those who have partied there. On the day we visited, it was for drinks only. The bar has several machines selling luminous daiquiri, hurricanes and margaritas right next to a drive through window. Seriously, you cannot make this stuff up!!! 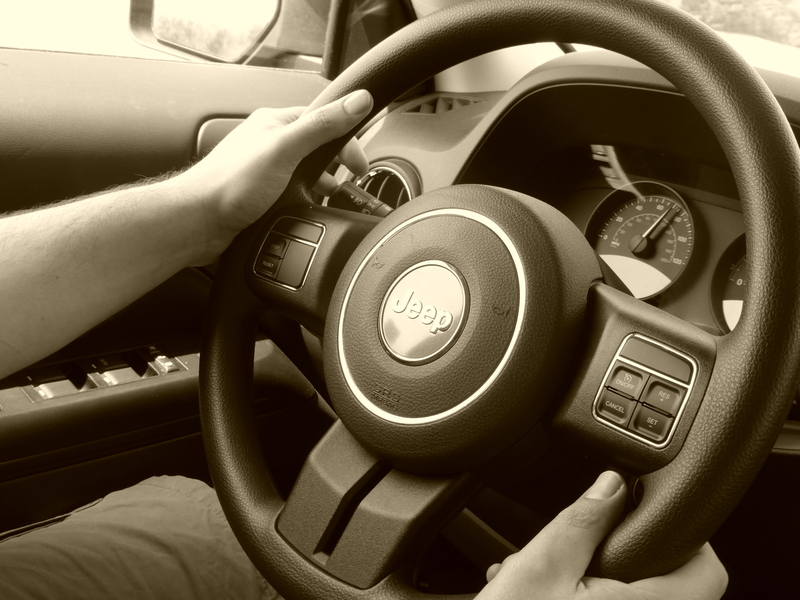 Neil was astounded to see a guy pull up to the window in his beat up truck, down his can of beer, and order a daiquiri to go….only in the South!! Apart from the sickeningly sweet cocktails served in plastic cups, which I grudgingly admit to love (especially after a couple!! ), domestic larger is available and little else. I have eaten at the bar previously and it is astoundingly good value. If you are expecting gourmet, or even high quality food, you have definitely come to the wrong place! 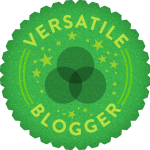 The World specialises in cheap, honest, grills such as massive steaks or juicy burgers. The prices are very hard to beat and it is definitely worth a visit, just for the atmosphere. The World is so different to anything we have in the UK, it is almost like being on a film set of a deep south local bar, and a pretty good one at that. 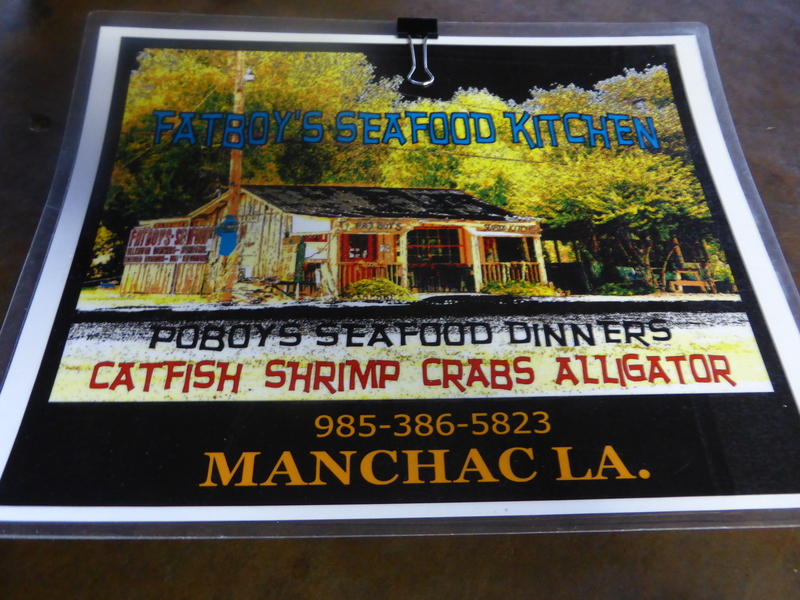 Our next venture into Louisiana was on our trip south to New Orleans. 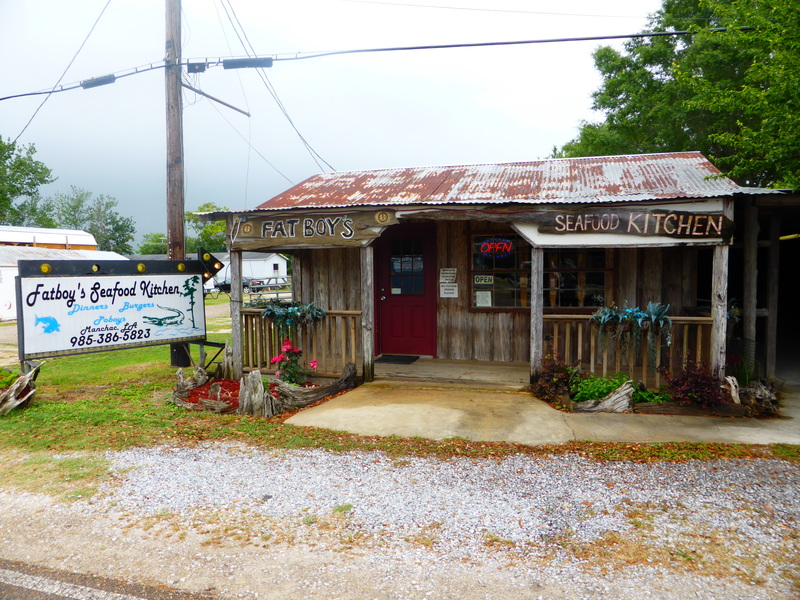 On the journey, we planned to stop for lunch at a fantastic seafood place we used to love visiting, Middendorf’s in Akers Louisiana. Sadly, Middendorfs was closed but, this allowed us to discover the little gem that is Fatboy’s Seafood Kitchen situated just a couple of doors down. As it was lunchtime on a weekday, Fat Boy’s was very busy with locals grabbing a bite to eat. As there are only a few tables inside the main building, we ate in the covered outside area which luckily had a few free tables. 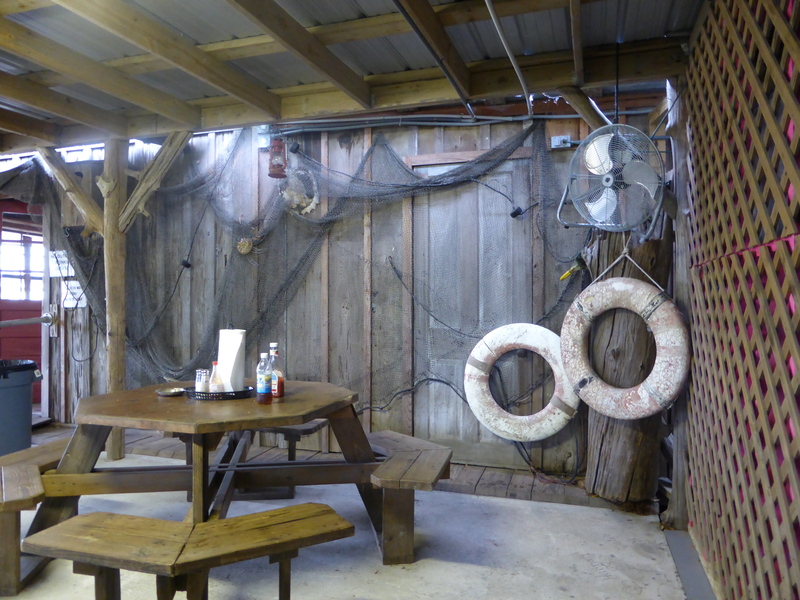 Be warned, if you eat outside you may well get bitten to shreds by gnats like I did as this place is situated fairly close to the water but that is one of the experiences of visiting rural Louisiana! 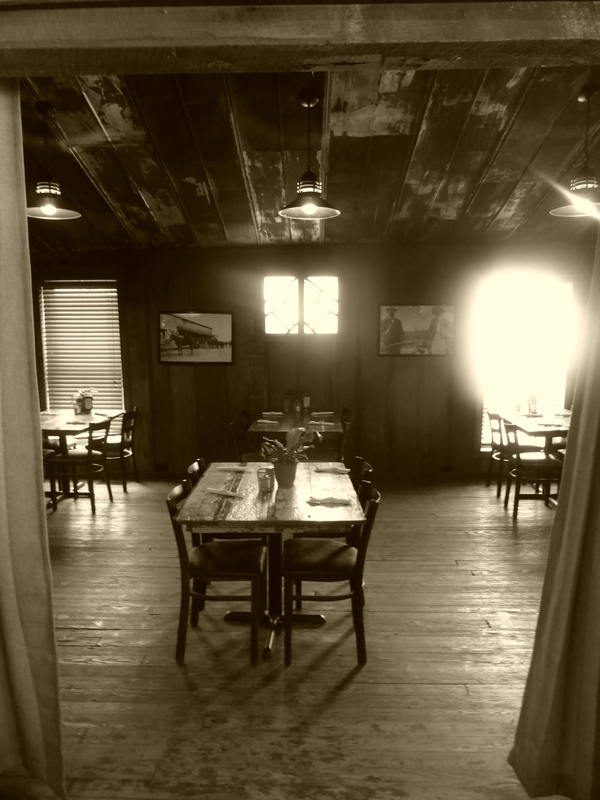 The restaurant is fairly basic with wooden picnic tables and concrete flooring but, for me, this only added to the charm of the place! 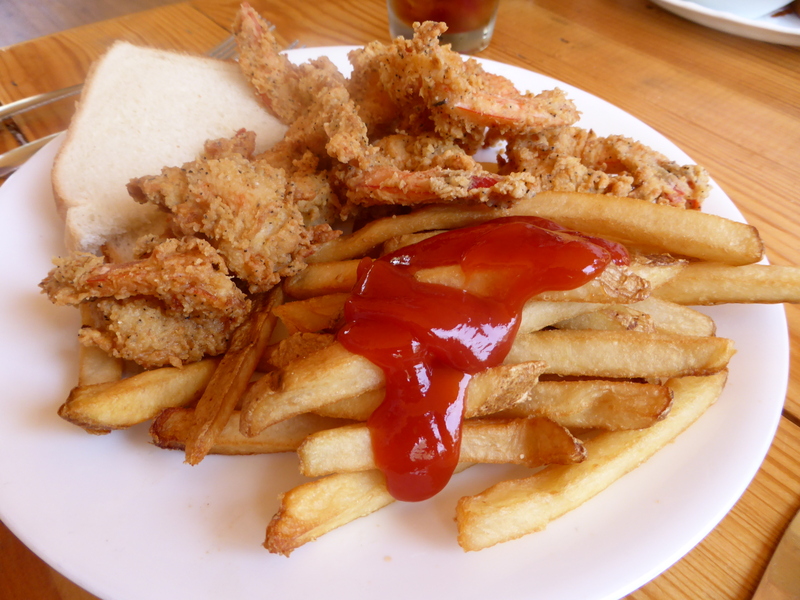 Most dishes at the popular eatery are fried, from Alligator to Catfish and oysters to burgers, most of which are available as either a ‘sandwich’, or a ‘dinner’, meaning that they are accompanied by fries and served in a basket as opposed to a bun! 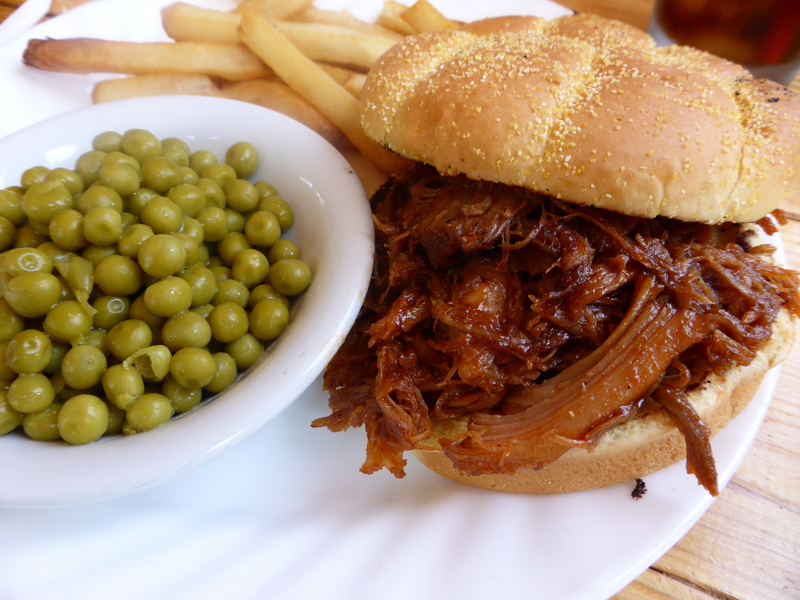 Most of us opted for ‘Po’Boys’, a type of sandwich associated with the Deep South. I hear you asking, “What on earth is a Po’Boy?! You have mentioned them several times now and I still don’t have a clue what they are!!”. A po’boy, otherwise known as a poor boy, is basically a sandwich served in a particular type of baguette, kind of like a very soft French stick. 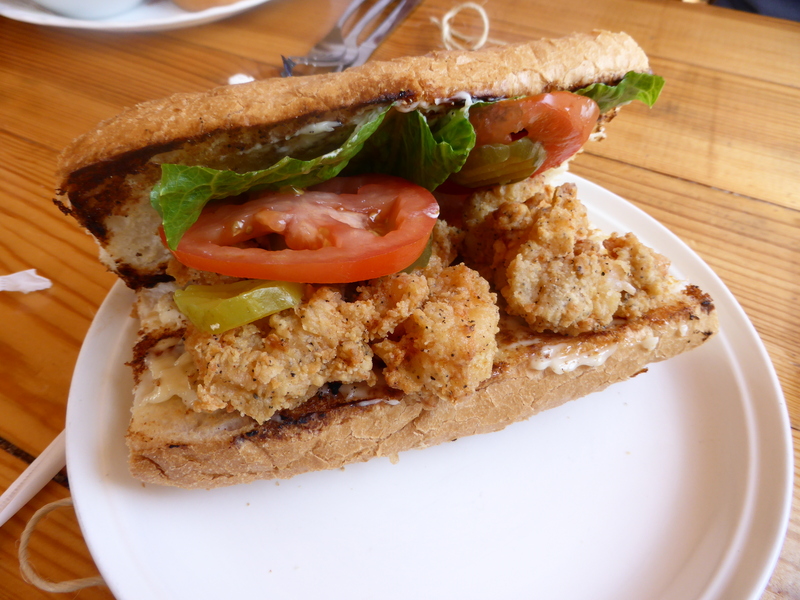 Po’Boys are always almost served with a hot, often deep fried, filling, most commonly shrimp or oyster, and are accompanied by lettuce, tomato and sometimes pickles. The origins of the term vary widely. Rumour has it that the name of the famous sandwich sprung from a coffee shop situated in the French Market in New Orleans. The proprietors of Martin Brothers Coffee Stand had formerly worked as street car conductors; upon the motor men and conductors strike in 1929, the two brothers offered to feed the poor men affected by the strike free of charge and so, supplied the strikers with large sandwiches, hereby known as po’boys. Po’boy sandwiches are now a lunchtime staple across the Deep South and beyond. Back to my meal at Fatboy’s. 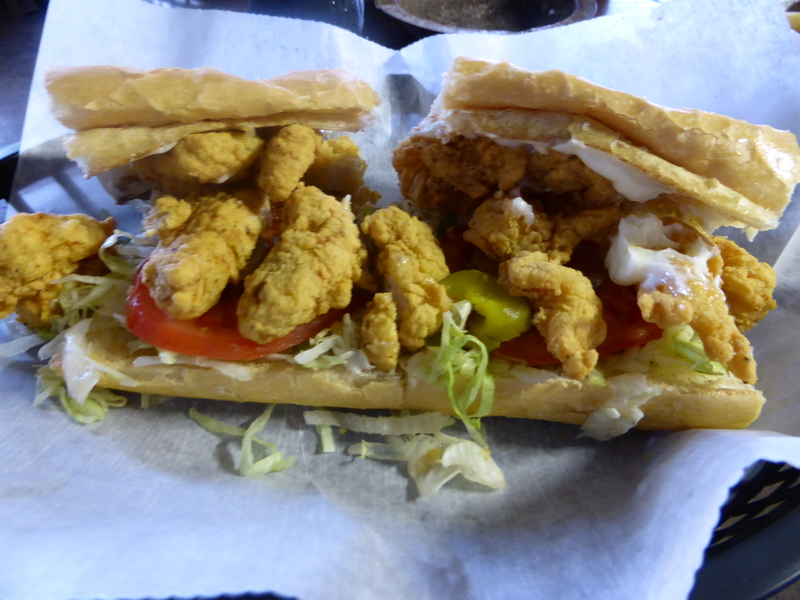 I opted for a half and half po’boy, half alligator and half catfish. It was delicious!! The batter was crisp but the taste did not overpower the meat and fish. The bread was beautifully soft and the filling generous; it was also extremely reasonably priced as you would expect for a local eatery. 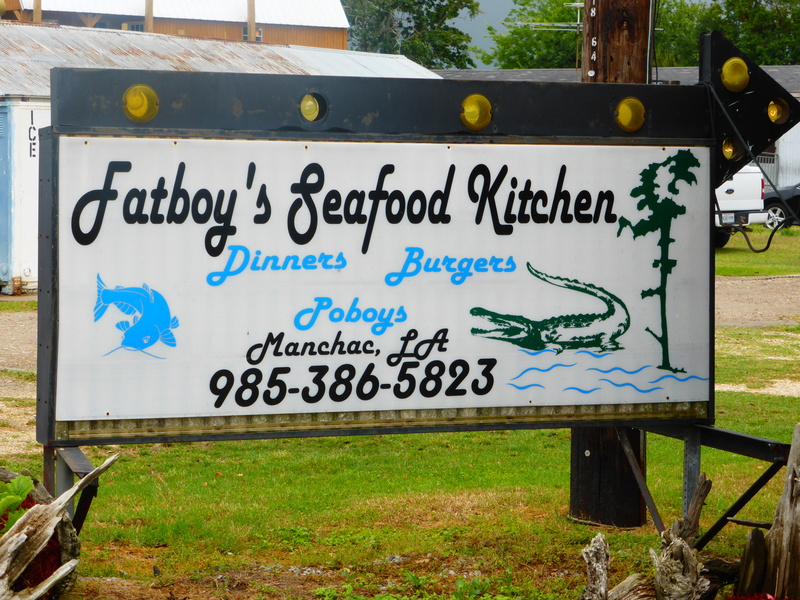 I don’t think I had tried alligator prior to my experience at Fatboy’s but I thoroughly enjoyed it! I would highly recommend a visit here whilst journeying south to New Orleans. Louisiana is a beautiful state, from the hustle and bustle of New Orleans and Baton Rouge, to quiet bayous full of crocodiles and endless countryside, it is certainly a state of contradictions but one worth visiting to find the ‘real’ America. The next stop on our trip was Vicksburg, Mississippi. I was fortunate enough to live in the town from the age of eight until I started senior school; my parents then returned when I was 17, so I have many fond memories of the historic town situated on the Mississippi river. 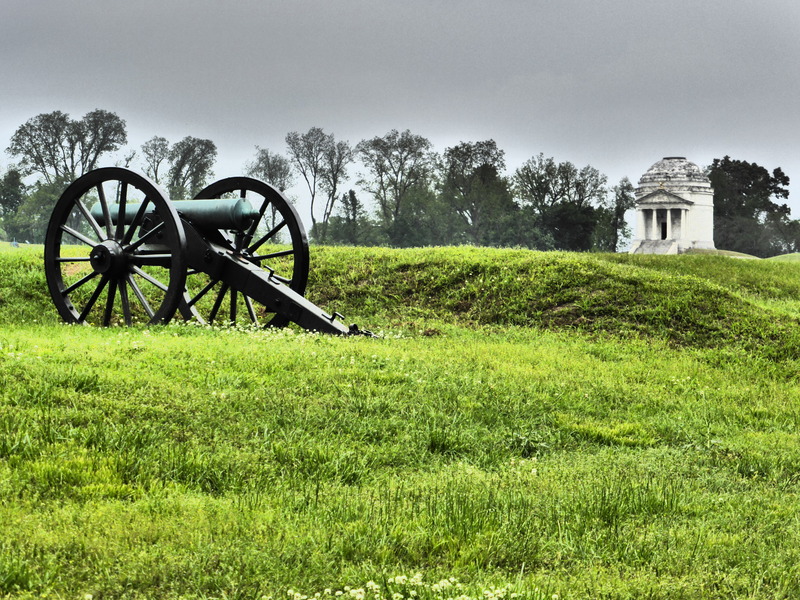 Vicksburg is well-known for so many reasons but primarily for the town’s role in the civil war. The 47 day siege of Vicksburg has been well documented in history and the surrender of confederate General Pemberton on the 4th July 1863 is widely reported to have been a turning point in the war. The town has a much visited military park which commemorates the battle and is a memorial to those who lost their lives. However, Vicksburg is not known purely for the famous siege; it is also home to several casino, numerous antebellum homes and the Biedenharn Candy Company although the significance of this is unbeknown to most. In the late 1800’s when Coca-Cola was initially marketed as a soft drink, the beverage was only available to purchase directly from soda fountains to drink in. Mr Joe Biedenharn, a successful confectioner who sold Coke in his sweet shop on Washington Street, realised the increasing popularity of the drink and attempted to make the beverage more readily available to those who lived in the countryside surrounding the riverfront town and so, Coca-Cola was bottled for the very first time! 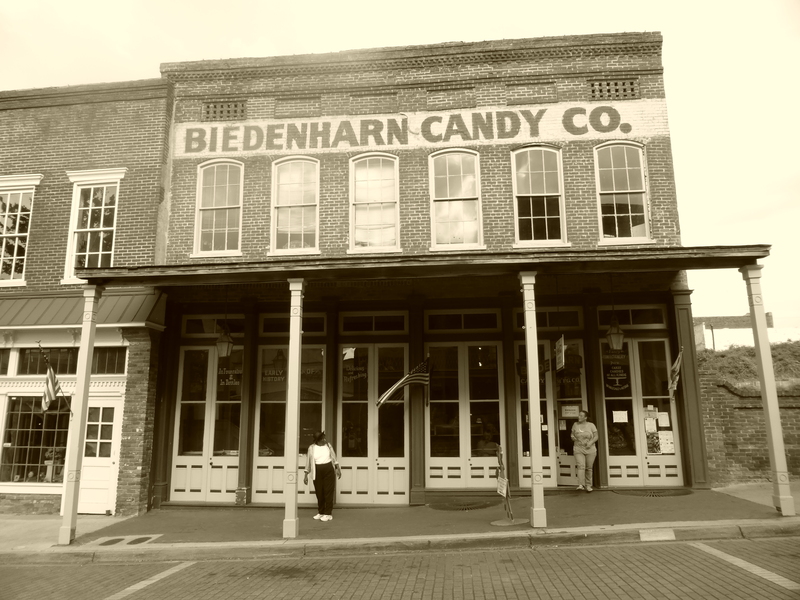 Cola enthusiasts are able to visit the Biedenharn store in downtown Vicksburg seven days a week, for the bargain price of $3.50, where visitors can peruse a variety of Coke related exhibits and visit the restored candy store to purchase coke floats, ice creams and other sweet delicacies! 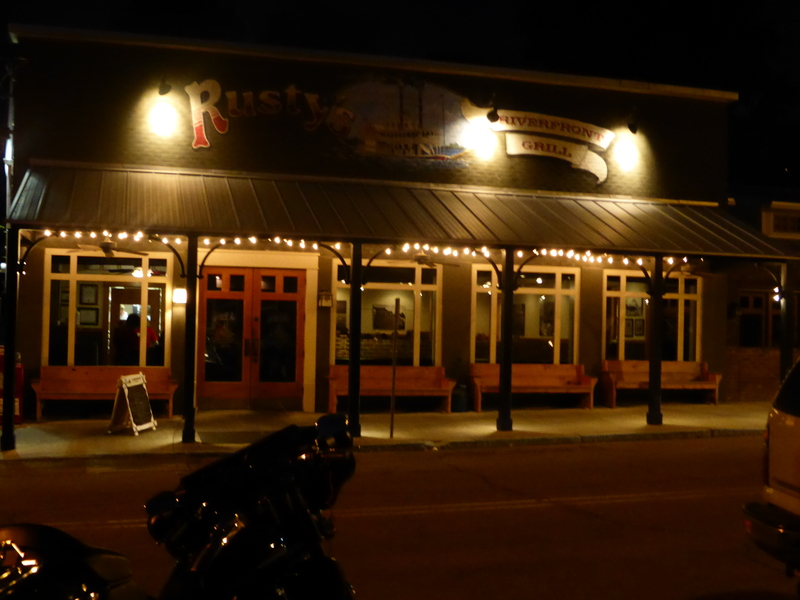 Another great foodie stop in downtown Vicksburg is Rusty’s Riverfront Grill, easily one of the best restaurants in town and our favourite dinner haunt some ten plus years ago! The popular restaurant is now situated 901 Washington Street, a stones throw away from Biedenharn, after a fire in late 2004 destroyed the original tiny premises that our family used to visit. The Washington Street location is much bigger with a large bar and waiting area which was much required as Rusty’s unfortunately do not take reservations, even when emailing from the UK!! Although, in my opinion, this is one of the only negative aspects to dining at the downtown eatery, service is prompt and efficient so when the staff say there is a half hour wait for a table, they really do mean only half an hour. Rusty’s speciality is seafood with fabulous dishes on offer from crab claws, yellow fin tuna, oysters and soft shell crab. For those who do not adore seafood like I do, there is a grill menu featuring steaks and chicken. One thing that is apparent is the Southern influence on the food due to dishes such as New Orleans style blackened chicken, Cajun gumbo and Po’Boys. Obviously Rusty’s take the ‘if it ain’t broke, don’t fix it’ approach as I was delighted to discover that my favourite dishes were still on the menu! That being said, there is an ever-changing specials menu which is a testament to the fact that the restaurant always uses the freshest available ingredients. To start, Neil and I opted to share ‘Fried green tomatoes topped with hollandaise sauce and lump crab’ priced at $10.99 to start. 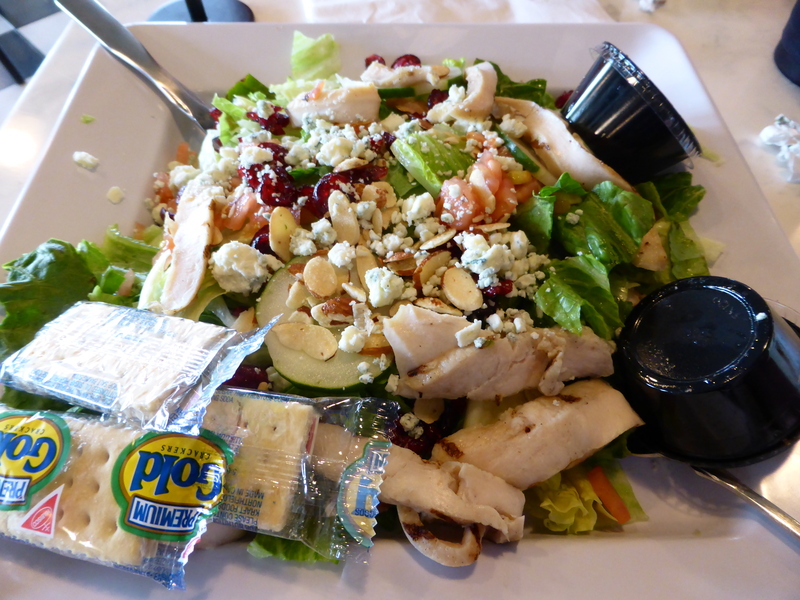 The portion was extremely generous and is definitely for two, or more, to share! 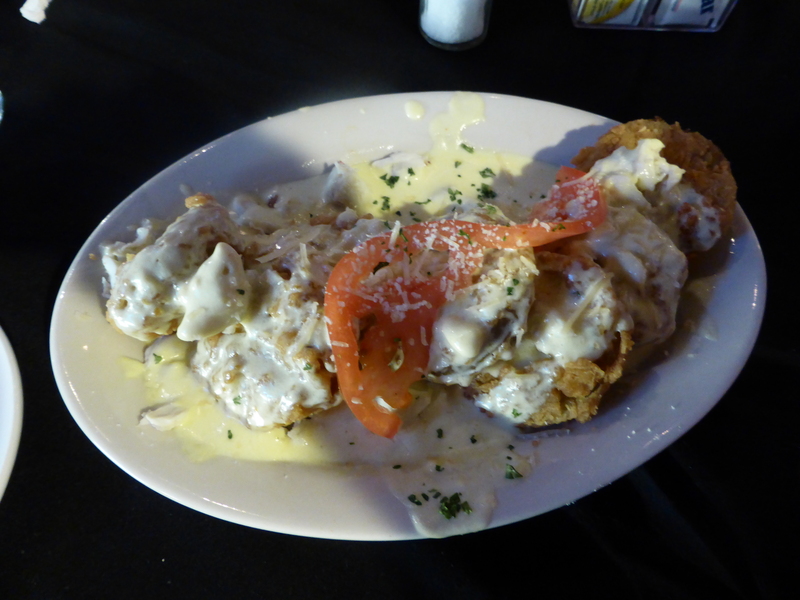 I loved the combination of crisp batter with creamy hollandaise and flavoursome crab; fried green tomatoes are a must when visiting the South and indeed Rusty’s! My only criticism would be that the dish lacked presentation as demonstrated by the above picture however, the taste made up for the lack of refinement. 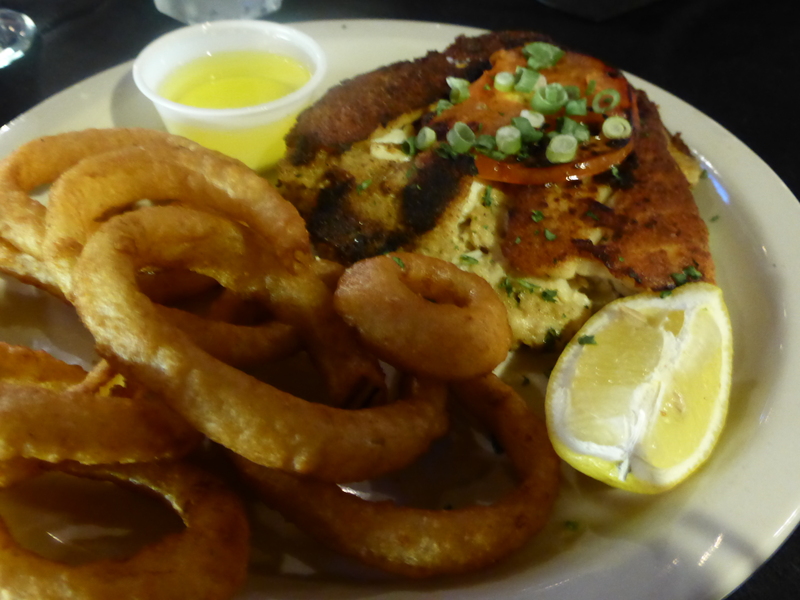 For my main course, I could not resist the ‘Fresh broiled Gulf grouper stuffed with crab cake and topped with parsley, onions and grilled tomatoes’ accompanied by onion rings and house salad with blue cheese dressing, $28.99. Some may say that this is on the pricey side for a main course at a family restaurant in Mississippi however, I will testify that it is worth every single penny! The fish was so meaty, flavoursome and temptingly flakey whilst the crab cake complimented it beautifully, both in texture and taste. My onion rings had the right amount of crunch and the salad was perfectly fresh. A winning dish in my eyes and just as good if not better than I remember, I was just disappointed I couldn’t finish it all but it really was a massive portion!! One of the great things about Rusty’s is that there is a large variety of broiled or grilled seafood available, in contrast to the fried offerings from many American restaurants. I personally think that a heavy batter can often ruin the delicate flavours of a large amount of seafood but that is my personal preference! 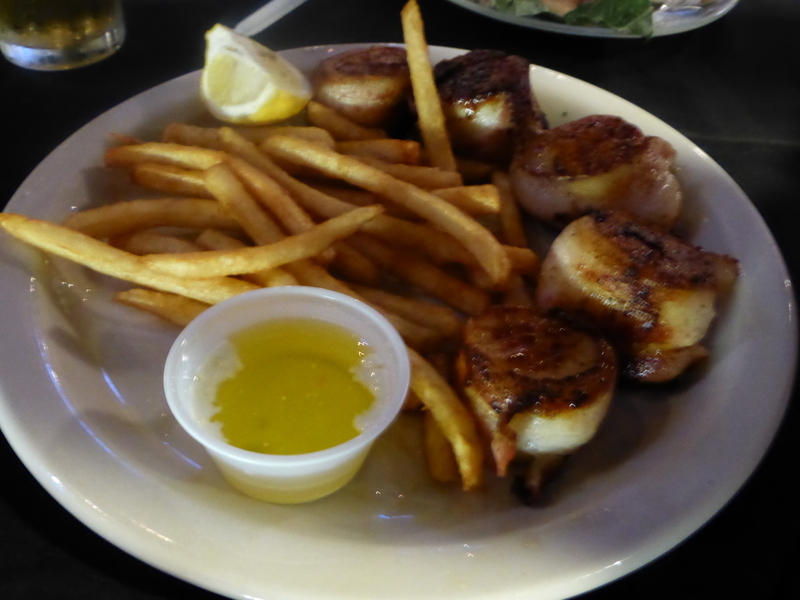 Neil chose one of the specials, ‘Jumbo bacon wrapped sea scallops’ at $24.99, and opted for them to be served with fries and a side salad. ‘Jumbo’ was not a lie, the scallops were huge!!! The bacon was nice and crispy but did not overpower the flavour and juciness of the scallops which were perfectly cooked. All in all a beautiful dish and another generous portion! Unfortunately neither of us had even an inch of room left for dessert but the homemade pies on offer looked delicious! I would be interested to hear whether they tasted as good as they looked and I have a feeling they do! Although Vicksburg, Mississippi may not seem like a foodie mecca, there are certainly some fantastic places to check out whilst soaking up the local history! If visiting the local area, be sure to have a fantastic and filling seafood dinner at Rusty’s after checking out the downtown shops and sights. The next stop on my road trip around the Deep South was Vicksburg; a town right on the Mississippi river, some four hours drive south of Memphis through the Mississippi Delta. The Delta is like nothing else in the United Kingdom. 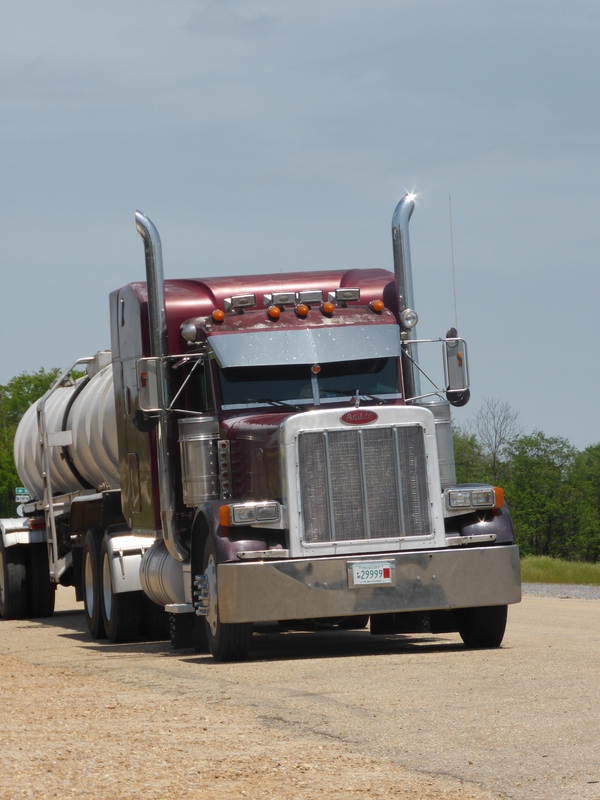 It is possible to drive on the narrow highway 61 for hours and hours, without turning once, and without seeing anything much except for endless cotton fields, the odd advertisement for a casino (several of which have sprung up in Tunica county) and a few massive trucks making the lengthy journey South. The Delta is vast; miles and miles of flat, open farmland rich in cotton, although many of its residents are amongst the poorest people in the United States. 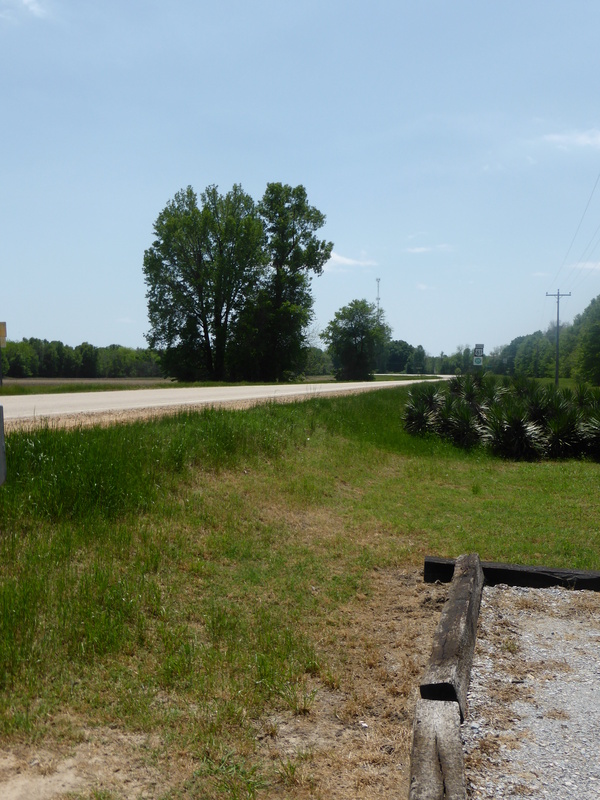 This area of Mississippi, in particular, was dominated by plantations, slaves and cotton picking back in the 1800’s. However, in modern days the Delta truly is rural America and rural life no longer has the same appeal due to dwindling populations, a once promising local economy rapidly in decline and unemployment twice the national average. That being said, the Delta still has a lot to offer, especially to the hardened traveller who likes to journey ‘off the beaten track’. The Delta’s people are friendly, the food comforting and the history, endless! 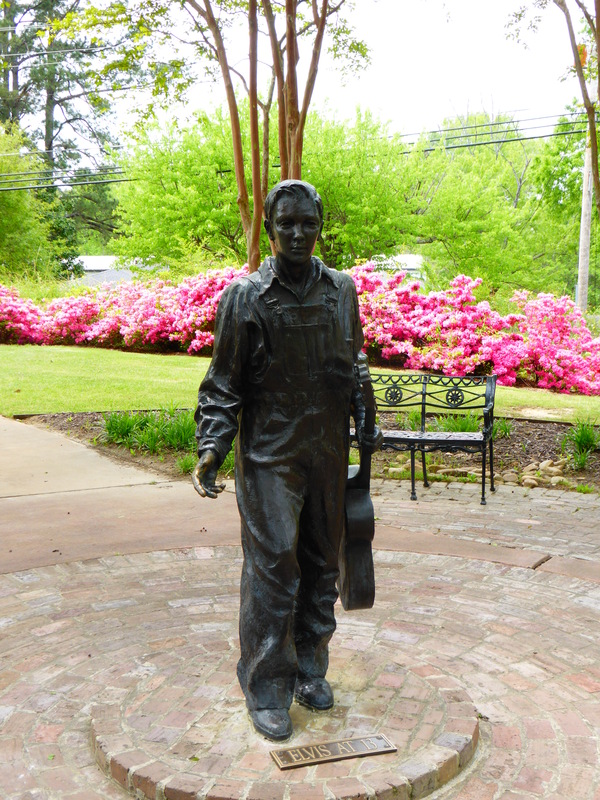 Not only is this area of the state known for its music, it has also inspired many literary works including those by, most recently, John Grisham and Willie Morris, and historically, Mark Twain. Like Memphis, this area of North West Mississippi has a deep-routed music history, which is particularly associated with the Blues; many famous Blues artists were born in this sweltering, rustic area of the Deep South, including BB King, who went on to be a world renowned artist and the owner of a famous blues club in Memphis. The unique sound of the blues is said to originate from slaves singing whilst working the many cotton fields in the Delta. 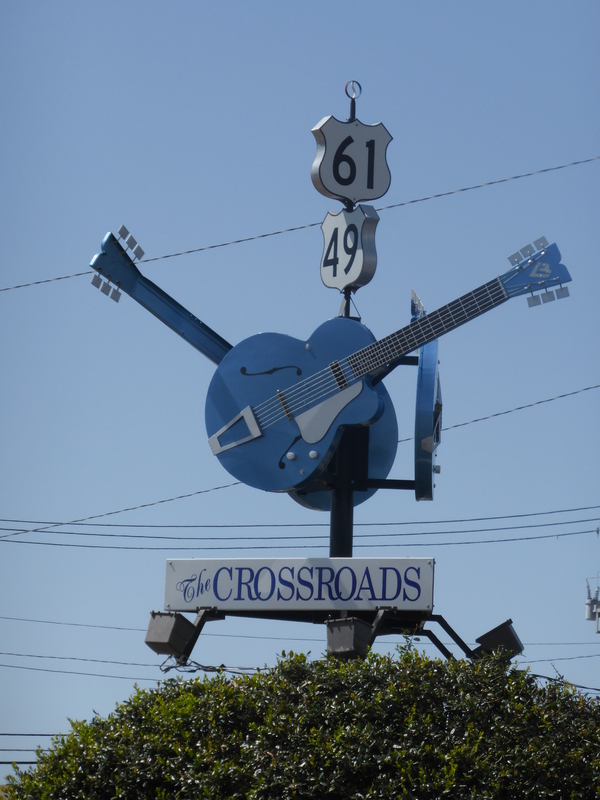 There is so much music related history in this area of the state that Highway 61 is otherwise known as ‘the blues highway’; this is alluded to at the junction of Highways 61 and 49 in Clarksdale, Mississippi by the iconic crossed guitars. In fact, Clarksdale is also home to Ground Zero, owned by the actor Morgan Freeman, who lives in the area, and the Delta Blues Museum which is next door to the club. 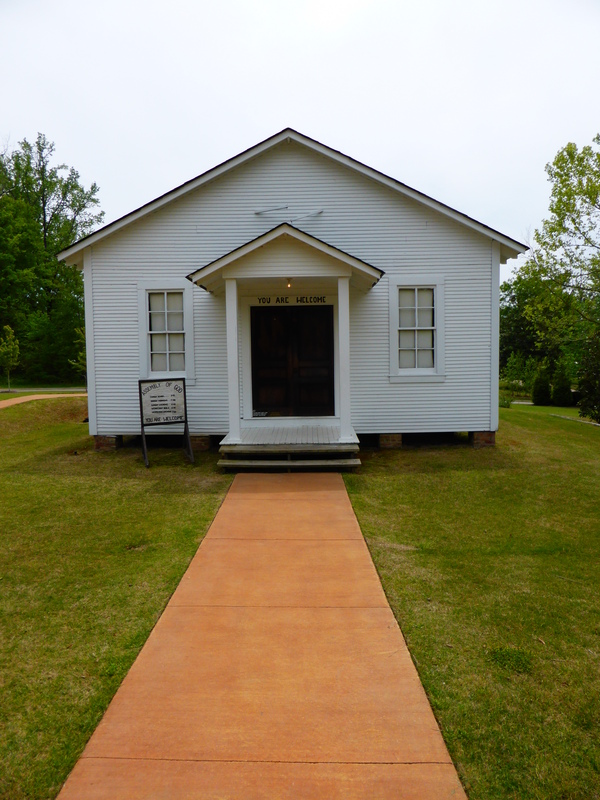 The Mississippi Blues Trail has many markers in this area of the state; leaflets are available from Mississippi tourist centres and are a good starting point to understand the history of the Blues in the Delta. For lunch, we stopped at The Onward Store in Rolling Fork Mississippi, situated on Highway 61. 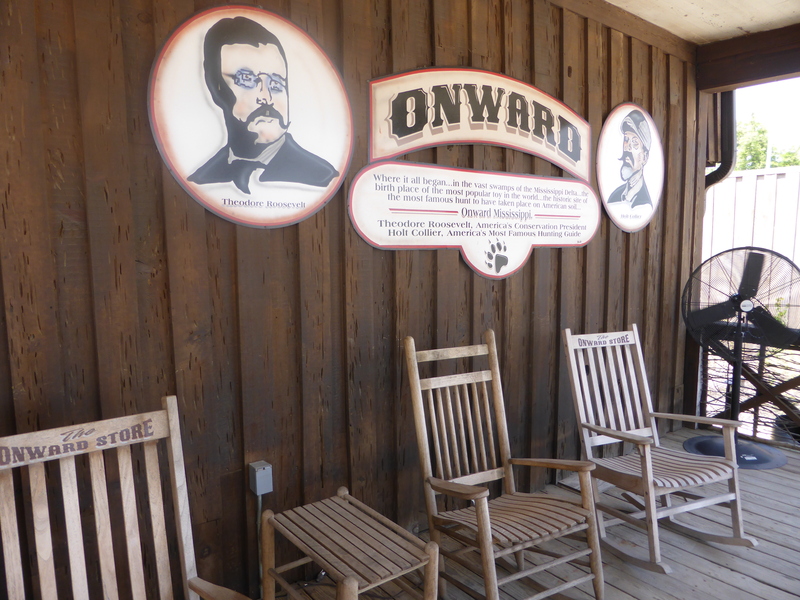 Onward is an old-fashioned, picturesque grocery store with vintage gas pumps at the front and several rocking chairs on the porch – an ideal place to sit, relax and watch the world go by after a long drive. Inside, the store has a wide range of refreshments for sale, perfect to revive the weary traveller, as well as local goods and gifts. 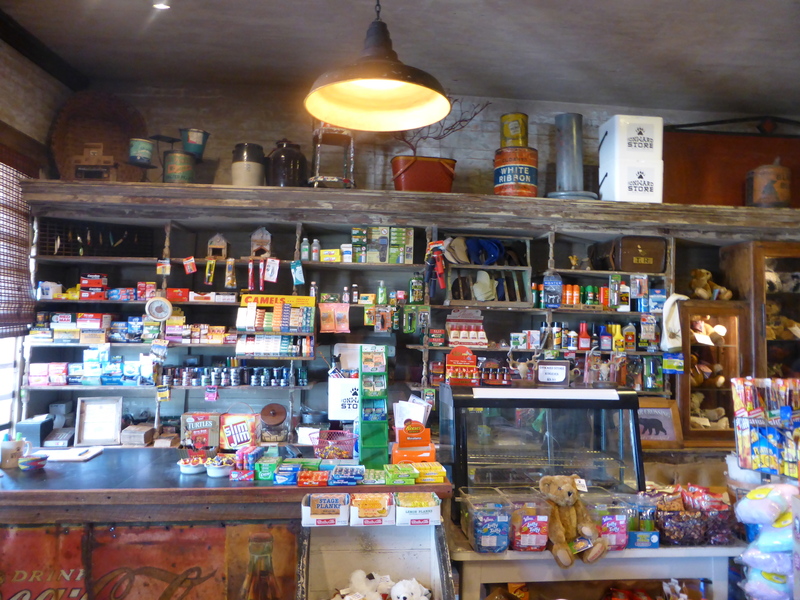 The interior really is a wonder to behold with old tins, grocery items and food advertisements adorning many of the shelves. Entering the shop is like stepping back in time, especially upon spying the ancient cash register taking pride of place on the front counter. The store also serves lunch and breakfast on weekdays, and dinner Thursday – Saturday, in one of two small atmospheric dining rooms, both of which are adorned with memorbillia, photographs and animal skins. 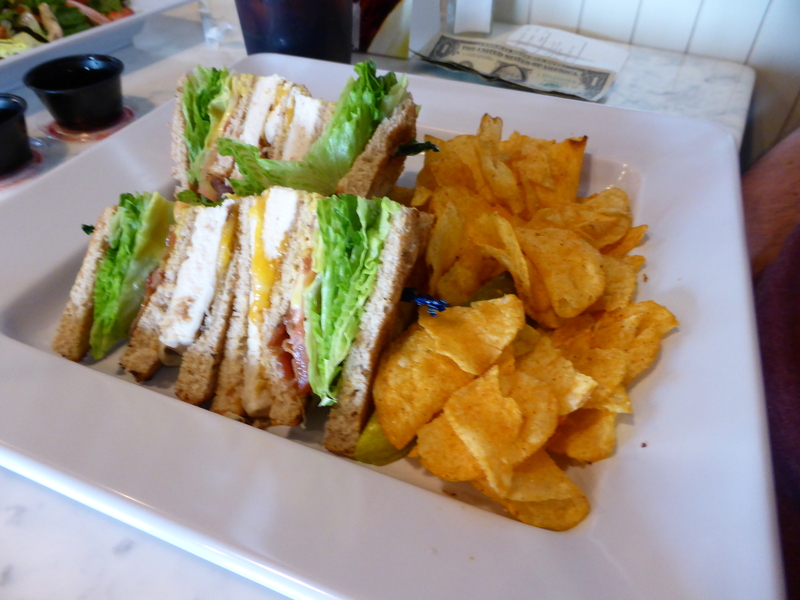 Lunch offerings are in the form of sandwiches, such as burgers or Po’boys, or ‘baskets’, which consist of fried chicken, shrimp or catfish accompanied by fries in a plastic basket. Simple, yet hearty and typically Southern. Do not go to the Deep South if you want an abundance of fresh vegetables as you will be sorely disappointed! My Dad opted for the basket of shrimp and chips whilst my Mom had a friend shrimp Po’Boy, both of which were delicious, very reasonable, fresh and filling. I am told by friends that evening meals at Onward Store are also superb. The menu boasts a good range of typical Southern fare, from blackened catfish to chicken and biscuits, with side dishes including fried okra, turnip greens and grits. Onward store isn’t just a quaint restaurant and shop, it also has a famous history as the birthplace of the ‘teddy bear’. President Theodore Roosevelt went on a bear hunt in the Onward area in 1902 and, rumour has it, a huge bear was caught and tethered to a tree for him to shoot as he had failed to kill one by himself. Upon being invited to shoot the bear, the president refused stating it would not be ‘sportsman’ like. 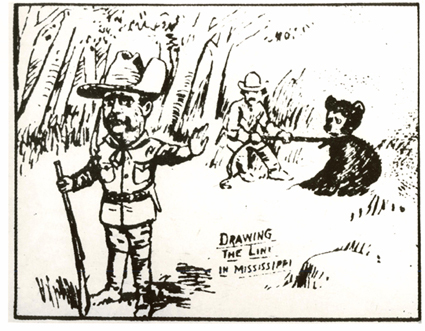 The Washington Post caught wind of this story and later published a cartoon of ‘Teddy’s bear’. Soon after, a New York manufacturer made the first ‘teddy bear’ in honour of the President’s hunt and so, a legend was born! Onward Store certainly made a fantastic pit stop on the long road South but after a filling and delicious lunch, it was time for us to get back on the road and drive the remaining hour to Vicksburg for the next part of our trip. The Mississippi delta is much overlooked as a tourist destination however, I would thoroughly recommend a visit and would personally love to explore the area a little further. 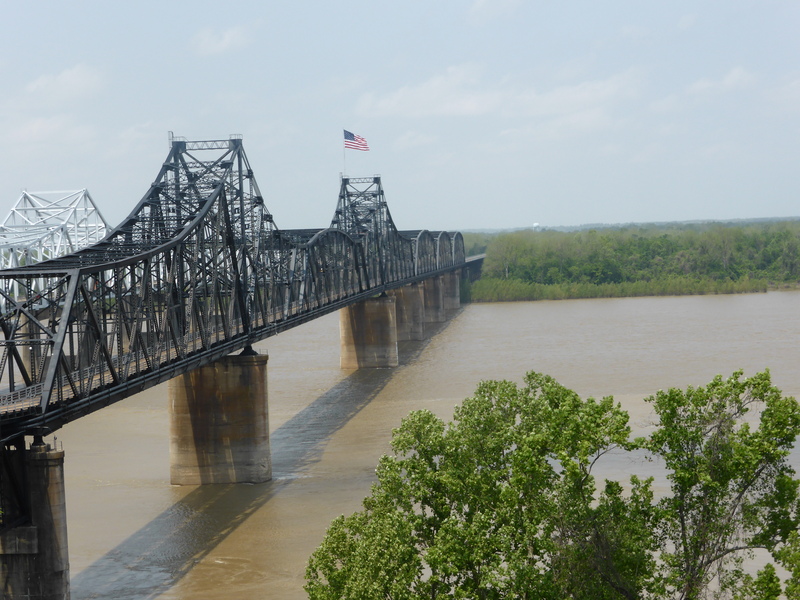 Visiting the North-West part of the state really allows visitors to get a glimpse at the ‘real’ Mississippi, one that is full of musical, literary and social history that has helped shape modern day America.